Raj enjoys duck-sitting at Majestic! Visit our gift shop at Cafe Press for some fun Majestic items! Proceeds from the shop benefit our sanctuary! 2014 Annual Blue Ribbon Photo Contest! Last chance to enter! Our 6th annual 2014 Blue Ribbon Photo Contest is about to come to a close at Midnight EST, June 15th! Please review our entry guidelines by clicking Photo Contest Rules. Winning photos will be featured in our upcoming July 2014 newsletter and also permanently displayed in our Majestic Winner's Circle! We have a new category this year, but haven't rec'd many photo entries as of yet. This is your BIG chance! The Best Couple category is for non-flying domestic ducks & geese; however, another bird may also appear in the photo as their partner. 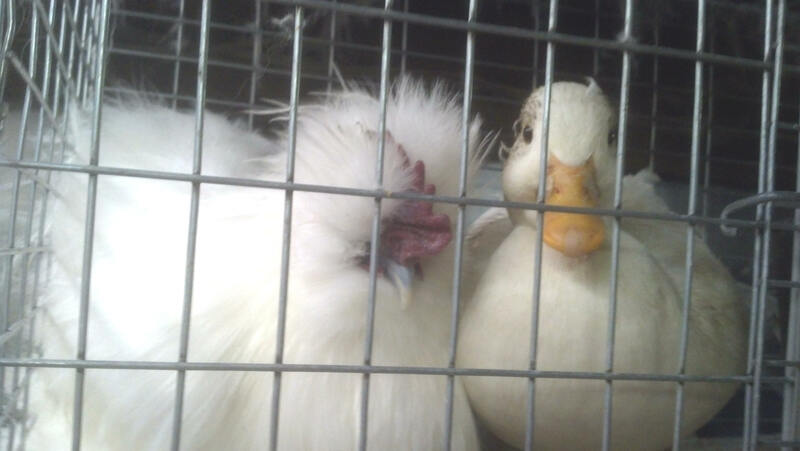 At least ONE of the duo must be a non-flying domestic duck or goose in order to qualify. Only two birds may appear in the photo (no one else!) and they do NOT have to be "in love." The best couple can be buddies, brothers, sisters, pen mates... whatever! 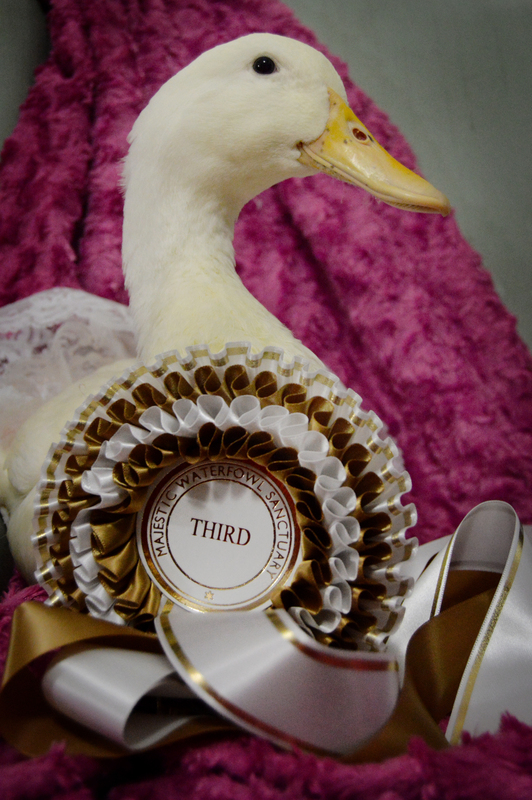 GIANT 1st, 2nd & 3rd place ribbons will be awarded in each of our three categories: Most Photogenic, Best Couple & Most Mallard! Our 2013 Third Place Most Photogenic Winner "Puff" poses with her White ribbon! Get them while you can! Sav-A-Chick packets can still be found at many feed stores this time of year, making it a great time to stock up your duck or goose's medicine cabinet. You never know when you're going to need them and they can be more difficult to find in the months to come. Electrolyte packets are simply added to drinking water to help support a weary feathered friend. Probiotic packets are added to drinking water (served separately--not mixed together with electrolyte packets) during times of stress, illness or any time that your duck or goose is taking medication. Probiotics last indefinitely in your freezer. 3-packs usually cost around $3.99. 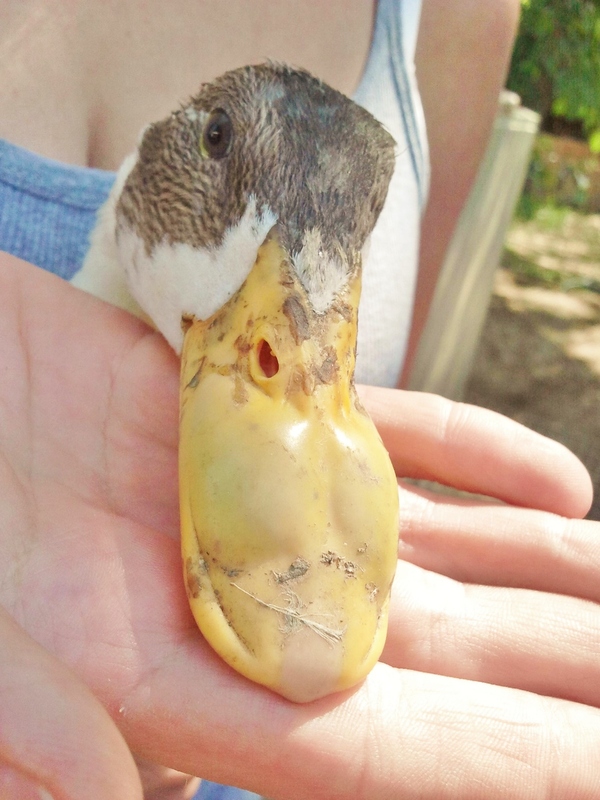 Sudden swelling of a duck�s bill is rare and requires urgent veterinary care. Your vet will take a look at the outside of the bill for any obvious cuts or punctures and then they�ll look inside your duck�s mouth as well. 1. A cut that results in a hematoma (pocket of blood). 2. A cut that results in an infection and then a subsequent abscess. 3. A damaged or infected salivary gland that results in a sailocoele (a leaking saliva gland that forms a pocket). Rarely, ducklings will hatch out of their egg with a malfunctioning salivary gland. Symptoms may include: bill swelling (often �pocketed�), appetite loss and lethargy. No matter what the cause, any delays can result in permanent damage to their bill and/or salivary gland. In the case of an abscess, a rupture can also result in the spreading of the infection. Bill hematomas and abscesses are treated similarly. If treated early, surgery is often not required; your vet will likely drain fluid out with a syringe and prescribe antibiotics and anti-inflammatory/pain medication. In the case of an abscess, they will likely recommend culturing the fluid, so they can more accurately target any bacteria. Your vet may want you to use cold compresses in the case of a hematoma; just make sure you�re clear on how long you should keep the compress in place to avoid damaging your duck�s bill any further. The tissue lining the inside of your duck�s upper bill is comprised of merging groupings of salivary glands. An infected salivary gland is treated with antibiotics and anti-inflammatory/pain medication. 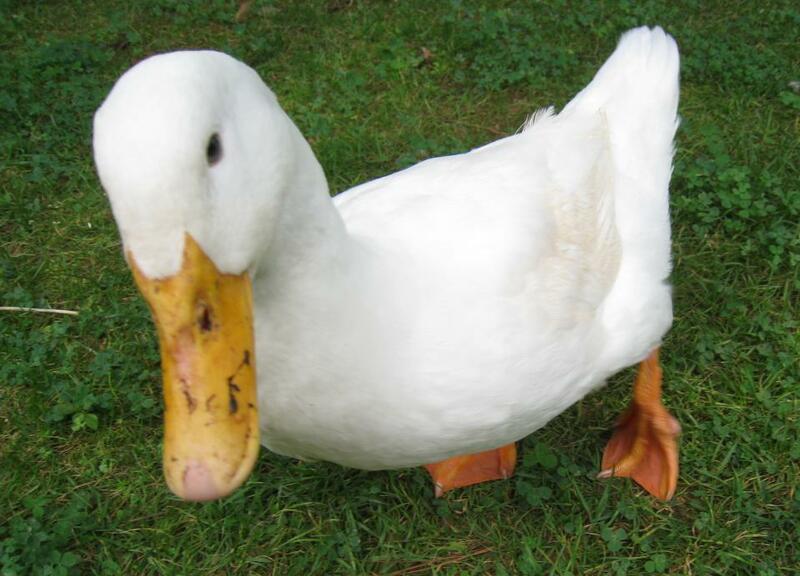 Vets will normally start your duck on a general antibiotic, culturing for bacteria whenever possible. A damaged or malfunctioning salivary gland (or glands) may require the partial or complete surgical removal of afflicted tissue. 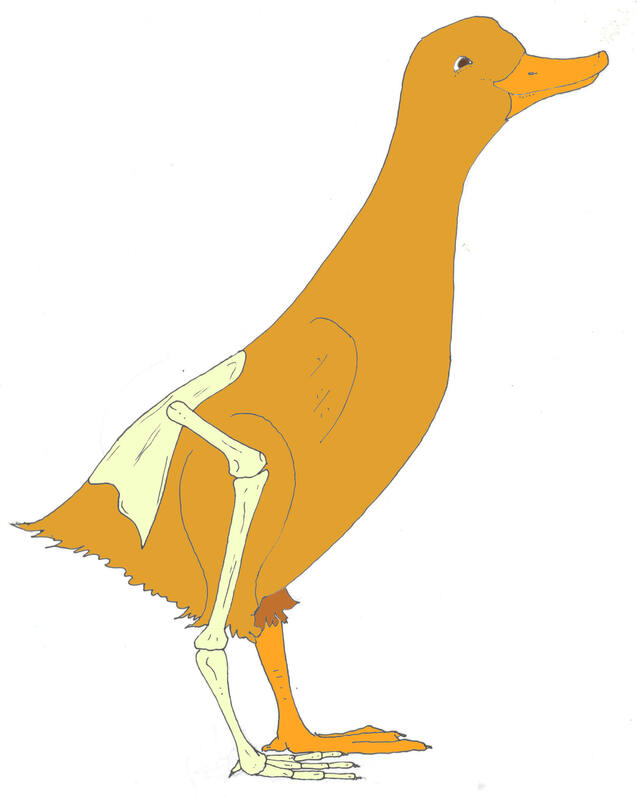 A slipped tendon, also referred to as perosis, occurs when the tendon connecting muscle to bone in your duck�s ankle (which many Momma Ducks mistake as their duck's "knee") slips out of the joint. This can cause either of the long bones, above or below the ankle, to twist laterally at the joint. Subsequent shortening and thickening of these long bones may result in time. A slipped tendon can be caused by a slipping or tripping accident, or as a result of a duck being mated too frequently by an overzealous male. 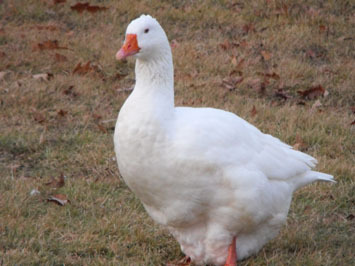 Although it can happen to any duck at any age, ducks with arthritis or other joint conditions are more prone to it than others. Malnutrition (niacin, manganese deficiency) is also a potential cause, but it�s more likely in ducklings than adult ducks. Symptoms of a slipped tendon may include: Ankle inflammation, a pronounced limp that doesn�t improve and often worsens with time, the effected leg may rotate inward below the ankle causing one foot to land on top of the other, further impeding their ability to walk. For ducklings: Immediately upgrade their diet to a brand-name feed formula. Sprinkle a small amount of Brewer's yeast over their feed crumbles if Niacin deficiency is the culprit. Vets will commonly recommend a multivitamin and review dosages with you (Vionate� powder). Don't mess around with home remedies or concocting your own dosages. Vitamin overdoses can be fatal if you miscalculate. Protect the injured duckling by separating them from other ducks, trying to keep them in view of the others if possible. For ducks: Slipped tendons are commonly misdiagnosed as sprains in early stages. When the sprain doesn�t improve, vets will normally x-ray and pinpoint the problem. Wrapping the ankle daily using waterproof adhesive bandage tape can give it good added support and improve the life of the joint, which can keep your duck waddling along for many years to come. Diligence is key. Your vet may also prescribe anti-inflammatory/pain medication if the ankle joint is swollen as well as a treatment plan to prevent arthritis (Adequan� injections).